Both existing and past customers often hold much more value than new customers — and you’ll spend less overall trying to regain those former customers than you would converting new customers into loyal ones. Ecards to your customers every month, utilizing cost-effective email marketing. One, two and three-year ReConnectTM lead generating mailing programs. Print mailings will include response forms bearing prepaid postage and email campaigns include online response forms. Unique response forms will generate leads, allow for referrals and for you to gain information about your customers’ needs. Our database allows you to easily see customer interactions and respond accordingly. It will also send out daily and monthly alerts, so your team can quickly respond to customers. 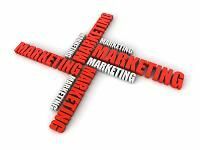 Don’t ignore what could be one of your most valuable marketing opportunities. Put a past customer marketing campaign to work for you, and boost customer loyalty and lead generation. Let the experts at Continuity Programs help you to implement a past customer campaign, with our unmatched turn-key marketing solutions. Contact us today.